Argentinian tennis player David Nalbandian might be wishing he'd kept a lid on his temper. He's been disqualified in the final at Queen's Club for kicking out at an advertising panel. But it wasn't just the panel that felt his frustration - the sign broke and cut the leg of a line judge. 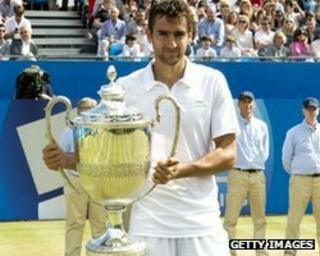 Nalbandian was disqualified for unsporting behaviour and the match was awarded to his opponent Marin Cilic. 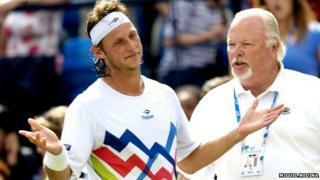 After the match, Nalbandian admitted he went too far saying, "I am very sorry, sometimes you get frustrated on court." Maybe he should think about a new career in sport - karate perhaps?